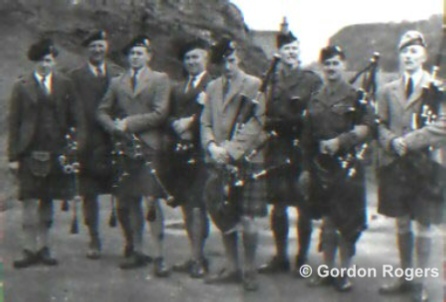 We are still looking for some backgrounds of these well-known Pipers. 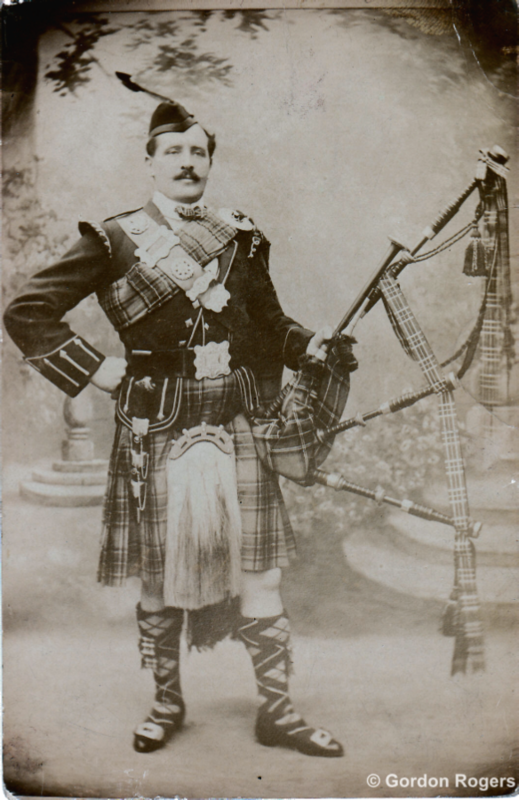 A Piper from Glasgow. 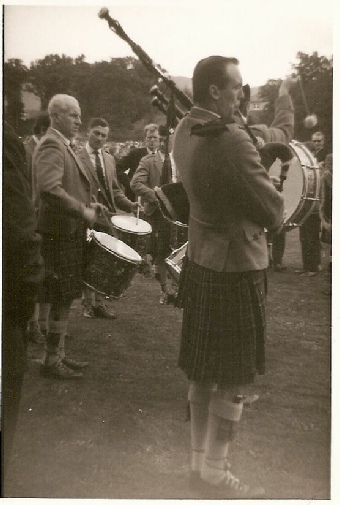 John was a pupil of Robert Reid and was a great friend of Bob Hardie (also a pupil of Reid) John was a member of Muirhead and Sons Pipe Band for many years till it folded in 1978.
interest, he plays on the Pipes of the late John MacColl, Oban. Willie Connel was also a pupil of Reid's winning the gold medal in Oban (don't know when) and the clasp at Inverness in 1957. He emigrated to Canada and has a long list of pupils there. Who doesn't know John? 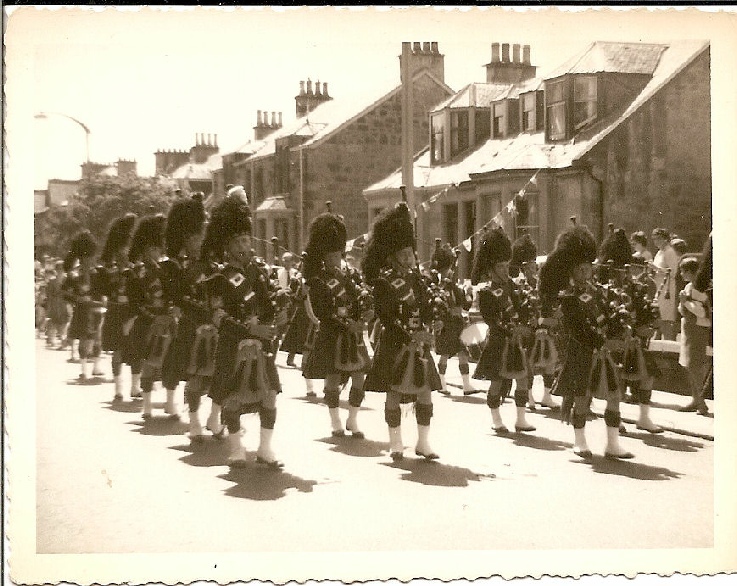 Still very active in all areas of Piping and remains resident in Invergordon. (Gavins father) Richard Powell tells me that he used to visit George and his wife Margaret in his Edinburgh home and always found him to be "mischievous". Richard suggests that he may have been from The Scottish Rifles??? In the photograph he is identified as John M MacKenzie of the 8th Battalion Argyll and Sutherland Highlanders and is shown in Battledress Top and Glengarry as a Sergeant. 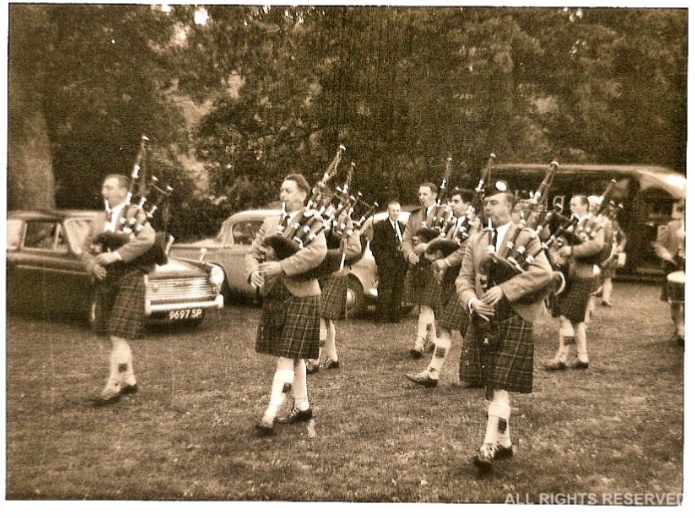 I believe he later went on to be appointed as Pipe Major to the 2nd Battalion Argyll and Sutherland Highlanders before accepting the appointment of Pipe Major and Tutor at Queen Victoria School, Dunblane in 1964. I was fortunate to be one of his many pupils and I remember him fondly as not only being a Master Piper, but a gentleman as well. 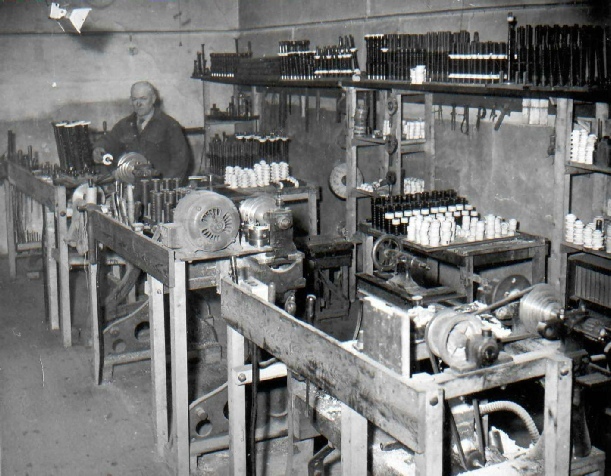 Robert Henderson was taught Piping by his father in Dundee, but was soon moved on to Tom Donaldson (Archive). 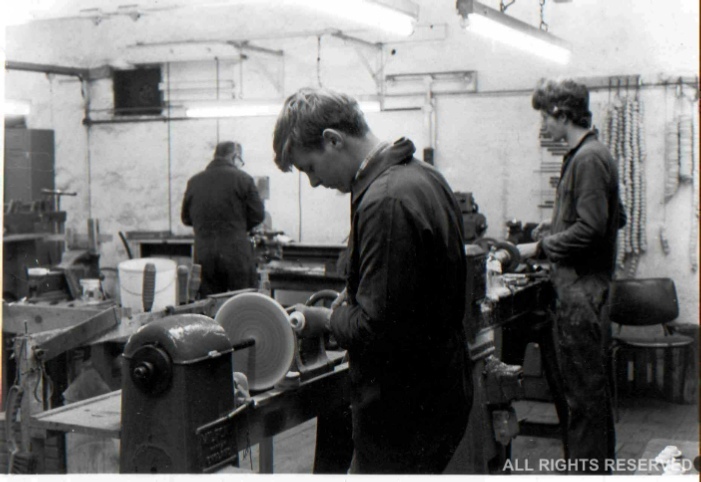 Eventually, Bob finished his education with Angus MacLeod. The partnership remained a constant throughout his entire life. Angus is a strict task master but had the desired effect on Bob's play. Bob was always the "Quiet man" and was never known to blow his own trumpet. Heaven forbid! Bob passed away in his Carnoustie home in his eightieth year (2000). Even then he had his hotel booked for the "Clasp". "Interesting to see the photo. 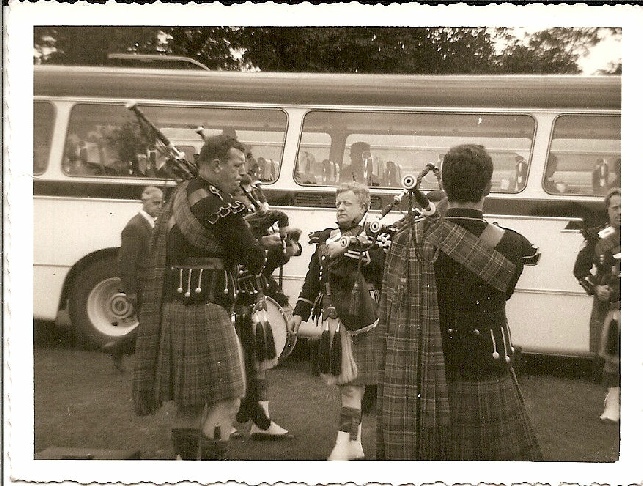 I was discussing it with Donald McBride on Saturday and would agree that the piper on the left looks like our good friend John Findlay from Glasgow. John was a pupil of Robert Reid and was a great friend of Bob Hardie (also a pupil of Reid) John was a member of Muirhead and Sons Pipe Band for many yeas till it folded in 1978. Burgess won the Gold Medal in Inverness 1950 .........did he win Oban that year too? ?